Life of Kylie has a new character. 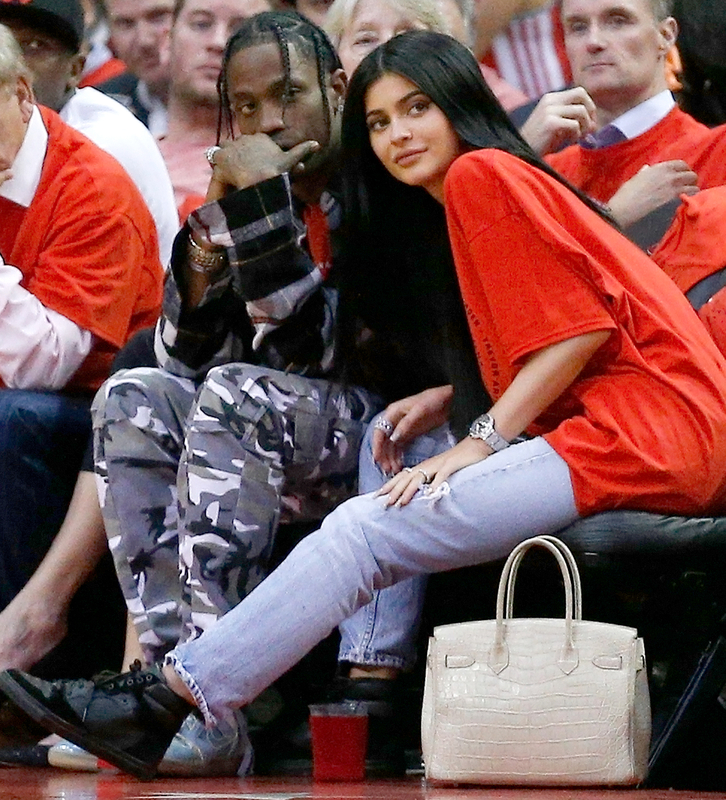 Just weeks after Kylie Jenner’s on-off boyfriend of four years, Tyga, moved out of her $6 million Hidden Hills, California, mansion, the 19-year-old reality star is already getting serious with “Go Off” rapper Travis Scott. “Travis is telling friends that he and Kylie are the real deal,” an insider reveals in the new issue of Us Weekly. Find out more in the video above, and detailed below! The Lip Kit maven and the Texas-born musician, 25, made their debut at the Coachella Valley Music and Arts Festival, where he performed April 14. When Scott, who’s cited Jenner’s brother-in-law Kanye West as a major influence, finished his set, “he immediately gave Kylie a kiss,” says an onlooker. Since then, Jenner has joined her guy as he crosses the country on his Birds Eye View tour. The duo jetted to his hometown of Houston April 25, cozied up courtside at an NBA game and then headed to Boston for his April 29 concert at Bentley University. By the next night, they were in NYC. The couple marked Scott’s birthday at swanky Cipriani, where her sister Kendall joined them.